Discover out-of-the-way places like Scuba & Snorkeling and Playa Paraiso. Take a break from the city and head to Grand Cenote and LabnaHa Cenotes & Eco Park. Change things up with a short trip to Yal-ku Lagoon in Akumal (about 36 minutes away). There's more to do: take in the exciting artwork at MiNiAtUrE art Gallery and don't miss a visit to Plastic Flamingo. To find traveler tips, maps, photos, and tourist information, read our Tulum travel itinerary creator. Newark, USA to Tulum is an approximately 11.5-hour flight. Expect a bit warmer weather when traveling from Newark in April: highs in Tulum hover around 83°F, while lows dip to 68°F. Cap off your sightseeing on the 23rd (Sun) early enough to go by car to Valladolid. One of the gateways to the ruins of Chichen Itza, Valladolid boasts plenty of historic charm and offers a range of tourist-oriented services that ensure pleasant holidays in this area. 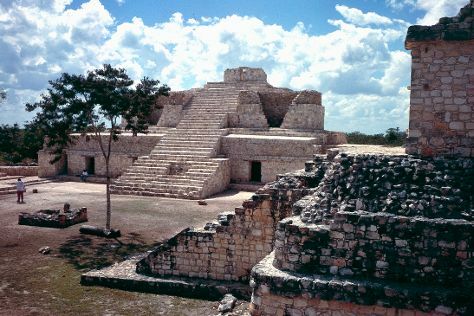 Start off your visit on the 24th (Mon): explore the ancient world of El Castillo, delve into the distant past at Chichen Itza, explore the striking landscape of Cenote Yokdzonot, then stop by Dutzi Design, and finally make a trip to Palacio Municipal. On your second day here, view the masterpieces at Casa de los Venados, then explore the ancient world of Ek Balam Cenote, and then delve into the distant past at Ek Balam Mayan Ruins. To find reviews, more things to do, and more tourist information, you can read our Valladolid online itinerary creator. Getting from Tulum to Valladolid by car takes about 1.5 hours. Other options: drive; or take a shuttle. Prepare for somewhat warmer weather when traveling from Tulum in April: high temperatures in Valladolid hover around 93°F and lows are around 79°F. 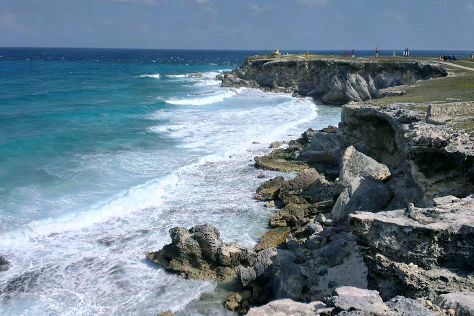 Cap off your sightseeing on the 26th (Wed) early enough to travel to Isla Mujeres. Tiny municipal seat of an eponymous island, each season Isla Mujeres swells to bursting with international tourists coming here to swim, snorkel, dive, fish, and sail. Kick off your visit on the 26th (Wed): look for all kinds of wild species at Tortugranja (Turtle Farm) and then explore the ancient world of Punta Sur. To see photos, other places to visit, where to stay, and more tourist information, read our Isla Mujeres trip itinerary builder. You can take a bus from Valladolid to Isla Mujeres in 3 hours. Traveling from Valladolid in April, things will get a bit cooler in Isla Mujeres: highs are around 85°F and lows about 73°F. Finish your sightseeing early on the 27th (Thu) to allow enough time to travel to Cozumel. 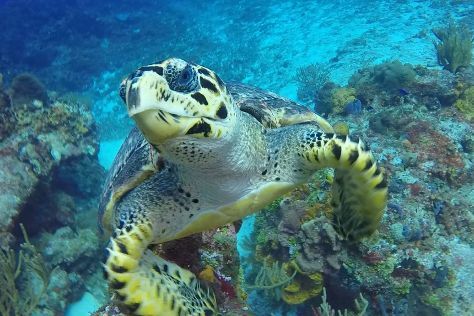 Thanks to the island's outstanding scuba diving and snorkeling options, Cozumel tourism sector remains a major employer and the main source of income for this Caribbean getaway. Do some cultural sightseeing at Discover Mexico Cozumel Park and Chabad of Cozumel. You'll explore the less-touristy side of things at Palancar Reef and Columbia Reef. And it doesn't end there: fulfill a lifelong dream with a swim-with-the-dolphins experience, take advantage of the amenities at Paradise Beach, cast your line with a fishing tour, and explore the gorgeous colors at Santa Rosa Wall. To find more things to do, reviews, and other tourist information, refer to the Cozumel trip generator. Traveling by combination of ferry, bus, and flight from Isla Mujeres to Cozumel takes 2.5 hours. Alternatively, you can do a combination of bus and ferry. Traveling from Isla Mujeres in April, expect a bit cooler with lows of 68°F in Cozumel. Finish your sightseeing early on the 2nd (Tue) to allow enough time to travel to Puerto Vallarta. Boasting a coastline made for perfectly framed photographs of romantic sunsets, Puerto Vallarta continuously ranks among the world's top tourist resorts. Explore hidden gems such as The Church of Our Lady of Guadalupe and Nuevo Vallarta Beach. Visit Zona Romantica and Old Vallarta for their historical value. There's much more to do: take in nature's colorful creations at Vallarta Botanical Gardens, step off the mainland to explore Los Arcos, soothe aching muscles at some of the top local wellness centers, and kick back and relax at Playa Las Animas. To find where to stay, maps, traveler tips, and other tourist information, read Puerto Vallarta custom trip planner. Fly from Cozumel to Puerto Vallarta in 7.5 hours. Alternatively, you can take a bus. Due to the time zone difference, you'll gain 1 hour traveling from Cozumel to Puerto Vallarta. 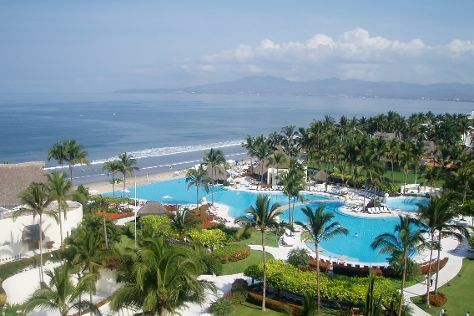 In May in Puerto Vallarta, expect temperatures between 85°F during the day and 71°F at night. Wrap up your sightseeing by early afternoon on the 5th (Fri) to allow time for travel back home.